Zack Danger Brown's joke Kickstarter campaign to make potato salad finally ended, and the amount pledged is just astonishing. And, hey, Brown also changed up the page's featured picture to a more appetizing shot of the dish he aspires to make. Never in my day did I expect to seriously write about potato salad, but that's the state we live in. A market where you set a $10 goal and make $55,492. Brown acknowledges the parodic nature of his Kickstarter—just watch the video posted to the potato salad page just a few days ago. It's like every other Silicon Valley hopeful out there looking to change the world, using the same measured buzz words and happy piano to grab a user's attention. But, as we all know, Brown is clearly joking, and we're in on it, laughing with him, not at him. More importantly, laughing at the absurdity of the tech bubble. "When we set out to make a potato salad," Brown says, "we couldn't say yes to every ingredient. And there are a thousands of no's to every yes." 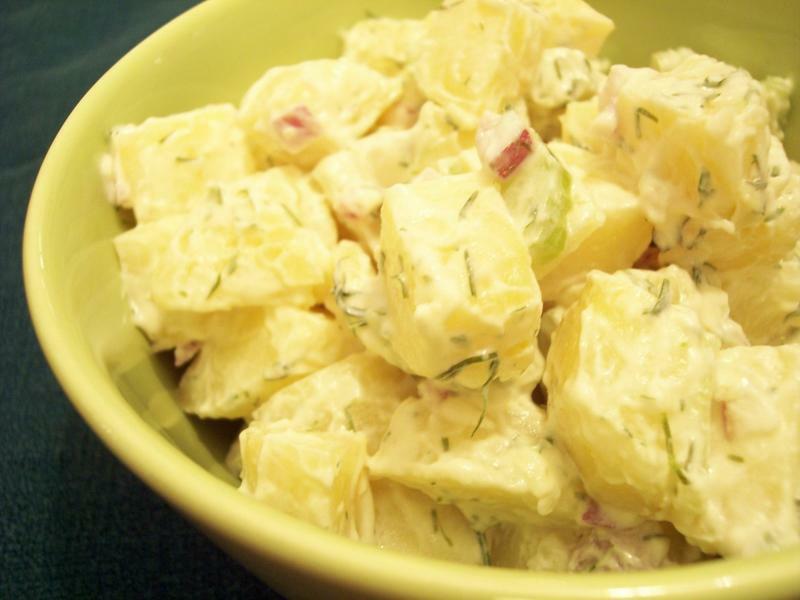 The video shows Brown and his crew putting in the hard work: doing research, aimlessly walking in the wilderness, finding out that hair isn't a necessary ingredient to make a delicious potato salad. Now that the Kickstarter is over, the original goal crushed, is Brown going to go off on a nice vacation with the extra dough he earned? Not quite. Brown says he plans on using the Kickstarter funds to help feed the hungry. A PotatoStock event is planned in Columbus, Ohio on Sept. 27, where all festival proceeds will go to fight hunger and homelessness. Meanwhile, a large portion will be put toward the Columbus Foundation. "While our little internet joke will one day be forgotten, the impact will be felt forever," Brown says. The joke may be forgotten, but the way Brown went about it won't. It will take some doing to top that, but Brown already has plans for his next venture. At some point in the future, Brown says some of the profit will be used to create an LLC, where he and his friends hope to continue "spreading humor and joy around the world." Whether or not we'll see him venture into more complicated cuisine remains to be seen.